Foolproof and fierce, this romper is for you. 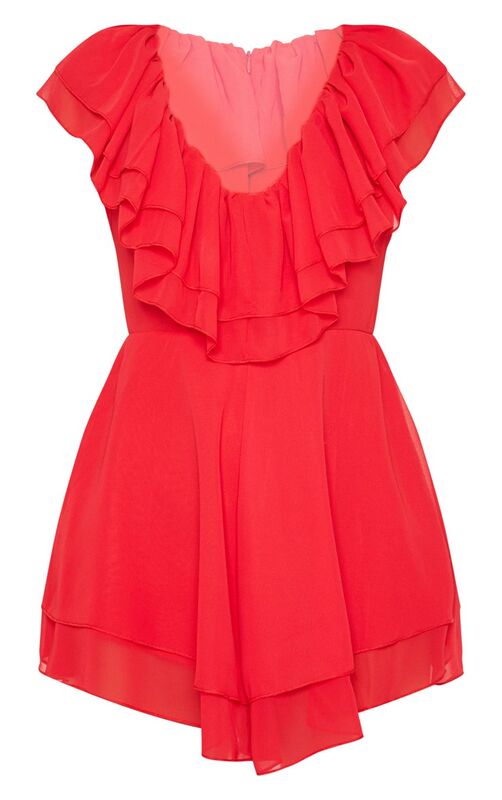 Featuring a red chiffon print fabric, plunge neckline and frill detail. We love this styled with leopard print strap heels for a feminine outfit we're crushing on.